St Clair Pest Control - Termite Inspections and treatments for all pest situations. Penrith, St Clair, Glenmore Park, Cranebrook and surrounds. 35 years in this business. Available 24/7! Pest infestation problems in Western Sydney? St Clair Pest Control will aid your needs! We have been in business for over 35 years, and are available 24/7 for emergency pest control needs. As a specialist in our chosen field, our team covers all aspects of pest control and pest species, from spider, bug, cockroach, flea, rodents and last, but not the least, white ants or termites. If you suspect termites are invading your home, there is only one thing that you must do, contact St Clair Pest Control. We have the expertise and the right equipment to use in implementing solutions for mischief and danger caused by termites. When conducting termite inspection and detection, guessing game about where the white ants are, is a waste of time. Thus, our professional team utilises termatrac radar, thermal imaging and infrared termite detection to successfully locate the white ants. Termatrac is a relevant tool that will reveal the termite nest. Its radar will identify and confirm the existence of termites, either in timber, brick, concrete or plaster boards. St Clair Pest Control - Providing solutions for all aspects of Pest Control! Whether it is for domestic, industrial and commercial sectors, we will check the property, both inside and outside, from roof, ceiling, walls, floors and to pool surrounds. This is to ensure that your family and property are safe from any pest infestation danger and damage. 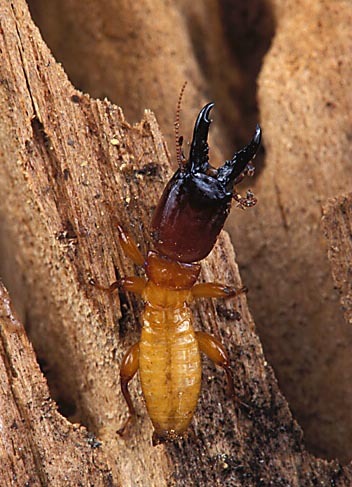 Do not miss an annual termite inspection! Contact St Clair Pest Control immediately!